BREAKING NEWS: We now see pocket pets at Lifetime Pet Wellness Center! 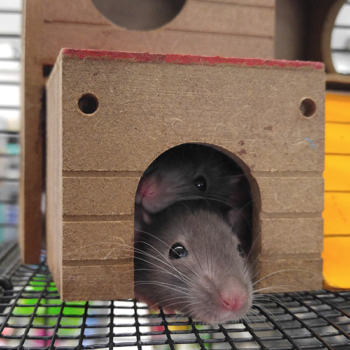 Those little critters need love too, and we encourage you all to bring in your chinchillas, rats, mice, hamsters, gerbils and other miniature pets. We especially adore these unique creatures because all-too-often, they are adopted as a “first pet” for families, but they rarely receive the veterinary care that they need. At Lifetime Pet Wellness Center, we can see your pocket pet for a wellness visit and discuss proper nutrition, vaccination (if applicable), housing and care, as deficiencies in these areas are often a common cause of illness in these species. We can also perform a thorough physical exam, which will help prevent issues as well as give your pet what is needed to treat an illness. As these animals are from a genetic line of prey species, they are engineered to hide problems, so physical exams are essential. Please call 614-452-5519 to make an appointment or schedule one online so we can help you to improve or prolong your pocket pet’s quality of life!